The development of BlackBerry 10 and its associated hardware has been anything but a secret. We cannot think of a time where we have seen more images or read more documentation about the new generation of any device or operating system. In fact, it seems kind of silly to refer to them as leaks since the information has been flowing like water from fire hose. We will grant that Microsoft’s Windows Phone and in particular, Nokia, were following a similar game plan. Though with Nokia it was focused almost exclusively on the Lumia 920’s camera, and the Windows Phone leaks were a little more modest, with a lot of leaks coming from the Windows Phone SDK. For BlackBerry 10, these disclosures of information and images certainly had to have tacit approval from RIM. It could very well have been stated as such, “You can show off these parts, but seriously, do NOT show these parts.” The result is that we have been fed a steady stream of information and images the forthcoming operating system and more recently the new hardware. It has certainly generated a lot of excitement for RIM’s debut of BlackBerry 10. Now, all we need is some real hands-on time with it so we can put it through its paces. These images give a modest view of how things will look when browsing the photo and video gallery on a BlackBerry 10 device. From there, you can dive right into BlackBerry World to get new content, and BlackBerry Link (the replacement to BlackBerry Desktop) will sync your music and device with your computer. The good news is that we need only wait a few more days for all to be revealed. Are you excited? From the gallery you'll be able to jump right into BlackBerry World to get more content. and so are you, you're using plume for twitter aren't ya? you're so right Wendy!! haters gonna hate but RIM and Blackberry will live!! Saying "haters gonna hate" will not determine RIM's success. Analysts predict RIM will not perform well because they are way too late to the industry. WP8 is facing the exact same situation. agree! there's no such thing as too late! you know what they say, "better late than never"
we wont know if they are too late until they release the phone and see how consumers react to it...till then they still got chance. And you're listening to analysts? ANALysts are wrong 99.9% of the time. And the majority of them only report good things about certain companies because they're either paid to or long on said companies stock. These very same analysts said that WP would have 25% market share by this time. How well has that worked out for them? I believe that not only will BB10 do well enough that Blackberry easily remains the third ecosystem, but it will thrive and bring some serious competition. 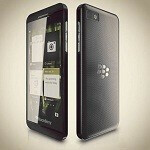 ANALysts will not determine RIM's success, QNX and Blackberry's 80 million subscribers will determine RIM's success. totally agree! people who listen to analysts are full of joke, or living in taylor swift's fantasy fairytail world! none of them can really predict the future! and i mean WP has been almost 3 years but still they are stuck on a single digit share! while BB is still the current 3rd! and BB10 might or will be the 3rd now since BB10 has an android and iOS nature, these three platforms are from same roots so devs wont have a problem on developing for these three! again, analyst are not the market! like i said to my "Critics" - "you dont like me? fine, i dont wake up just to impress you!" this apply to the analyst too! RIM needs to impress the people not the freaking analysts! they dont know what will happen, most of them are just show off! they speak s**t! since RIM still has a lot of followers and loyal fans... and even my friend tell me that she'll choose BlackBerry over iPhone or android coz she said that those platform are not for her, its just that she use phone for extreme business and messaging, even though iPhone and android can do those, she's still not that a fan..still consider them as toys.. well i dont blame her or will not argue, since its her opinion... so analyst are just s**ts! so many platform that are coming this year, firefox OS, Sailfish OS and Tizen, even open webOS! so you say that they are late for the party? a lot of people like the sailfish the most, so you think they are late even though they have strong fanbase? if you'll just talke s**t better shut up coz your comments are full of BS! Analysts predict device/product X will be a success or failure. Apparently, people or consumers will determine the success/failure of a product/service, not analysts who pretend to have a magic wand in their hands. agree, but still analyst are boat load of s**ts! When is RIM going to start shipping their BB10 toys? In the U.S., I think the earliest is end of March. Lets say the toys get into the hands of regular (non-developer, non-reviewer) buyers in April. Sony's new toy is supposed to ship in March. VZW is supposed to have a flagship L9X0 by February. HTC is supposed to be shipping the M7 February or March. Do you see where I am heading? Lotsa competition for RIM in buyer's attention span, which for non-fans is notoriously short. I think you should know what's brand recognition... Some people want to drink Starbucks and Starbucks only... Did you know that? Similar to Microsoft, they're too late because most people have already invested too much into other systems such as app purchases and time to become familiar with their chosen OS. This includes businesses who were their bread and butter that jumped shipped to other platforms due to the extended delay of RIM trying to catch up in terms of hardware and performance, while long ago the competition removed their only shortcomings for corporate security and becoming IT department friendly. I know that Mario Lopez enjoys his black berry.